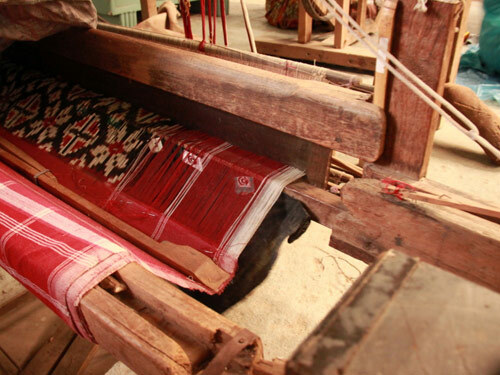 Did you, like us, not want National Handloom Day to end? Beautiful images of effortlessly draped handwoven sarees, weavers working their magic on the loom and cities steeped in textile traditions made us long for an earthy aesthetic. It also evoked in us severe wanderlust. After all, Chanderi, Maheshwari, Kota, Paithani – all get their names from cities in India. Read our textile guide and travel with us through cities that still live and breathe with the warp and weft. Enough and then some more has been written about the weaving heritage of Benaras. But really, if you are a weave-wearer, a Benarasi is an essential building block for your collection. And there’s no other city to buy it from than the source itself with the sights and sounds adding to the charm. Benarasi silks and brocades are well-known but did you know that Benaras is one of the two centers in Uttar Pradesh where the Jamdani weave is practiced. 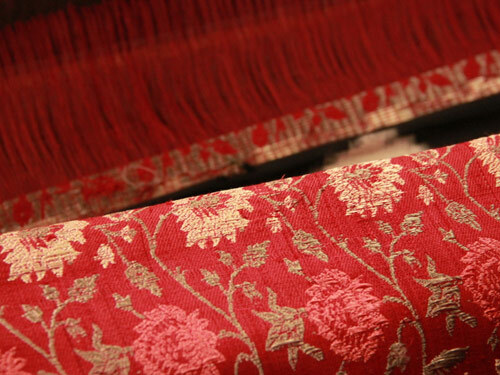 Jamdanis are thin textured muslin with floral, animal and bird motifs woven into the loom. 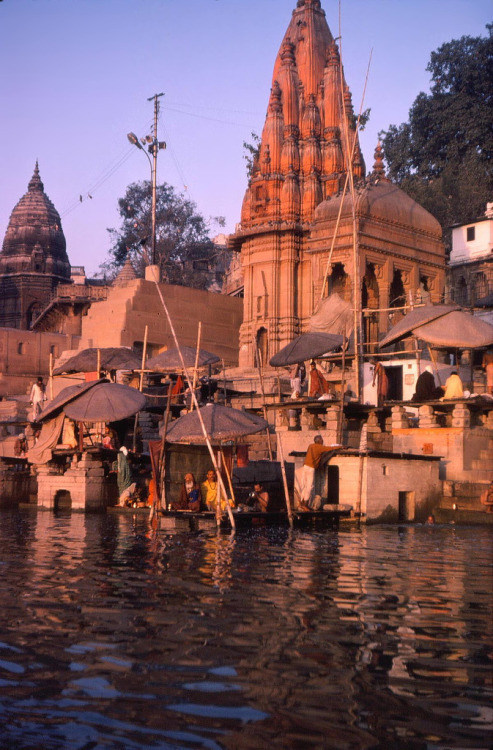 In Benaras, the weavers use gold thread, in addition to bleached and unbleached white thread. A two-hour drive from Chennai takes you to the temple city of Kancheepuram, also known as the silk city of India. This is where the famous Kancheepuram (also called Kanchivaram or Kanjeevaram) silk saris are woven. Did you know that in a genuine Kancheepuram saree, the border and body are woven separately and then interlocked together. The joint is so strong that even if the sarees tears, the border does not detach. Kancheepuram is also known for two other major textiles – the Angavastram weaves (shoulder cloths) and the Konrad saree, both typically draped on deities in temples. 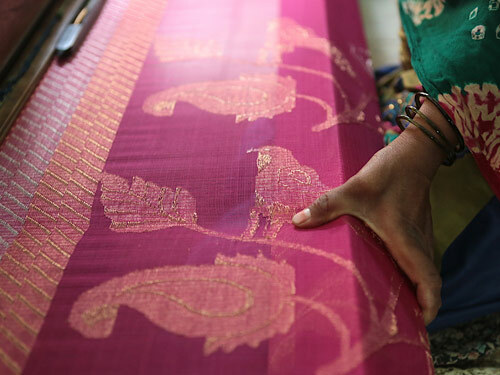 The city has thousands of handlooms and skilled weavers that make its silk sarees one of the best in the world. Sheer quantity isn’t the only reason though. 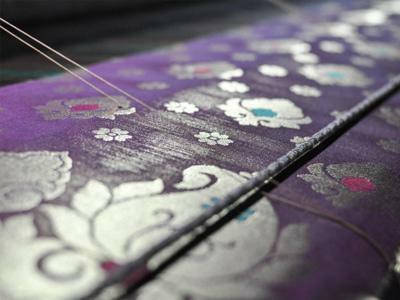 Kancheepuram sarees are woven with threads dipped in silver and gold, making it one of the most valuable Indian weaves. Yes, these are the places that Maheshwari and Chanderi weaves get their names from. 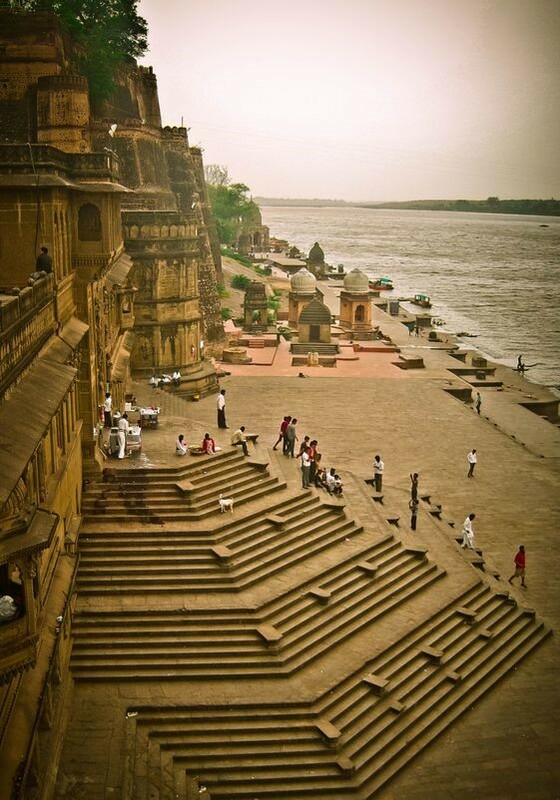 A small town by the banks of the Narmada, Maheshwar produces some of the finest handloom fabrics and sarees in India. A good place to see the weavers working on their loom is the Ahilya Fort that houses the Rehwa Society that has played a big role in popularizing this fine weave. Essentially cotton, the Maheshwari is woven with distinctive designs including stripes, checks and floral borders. Next stop in MP is the city that gives us the much loved Chanderi. Delicate and breathable, Chanderi sarees usually have traditional motifs inspired by nature and are woven from either silk, cotton or cotton silk. 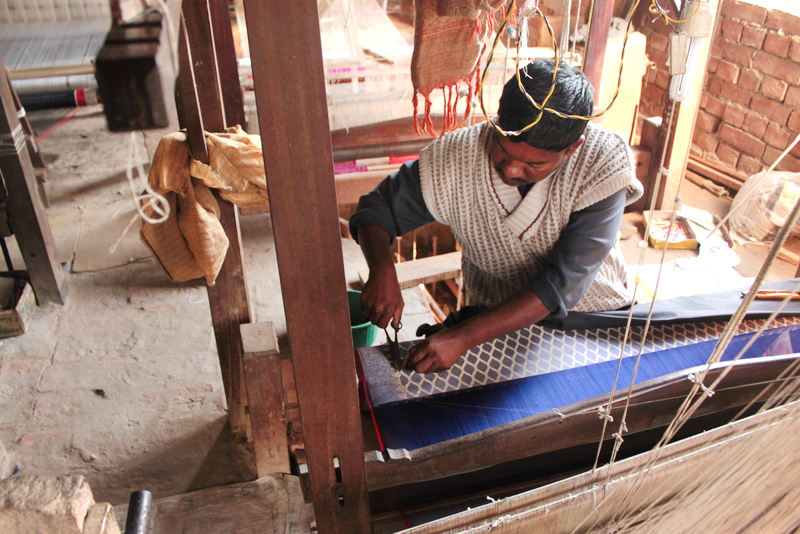 The airy and earthy Kota weave, recognized by its checks, is essentially made from cotton threads. The cotton provides the firmness and silk threads lends a glossy finish. The sarees here are woven over a traditional pit. Make a trip out of it and also visit the City Fort Palace and the beautiful Jagmandir Palace in the city. There’s more to this city than biryani. 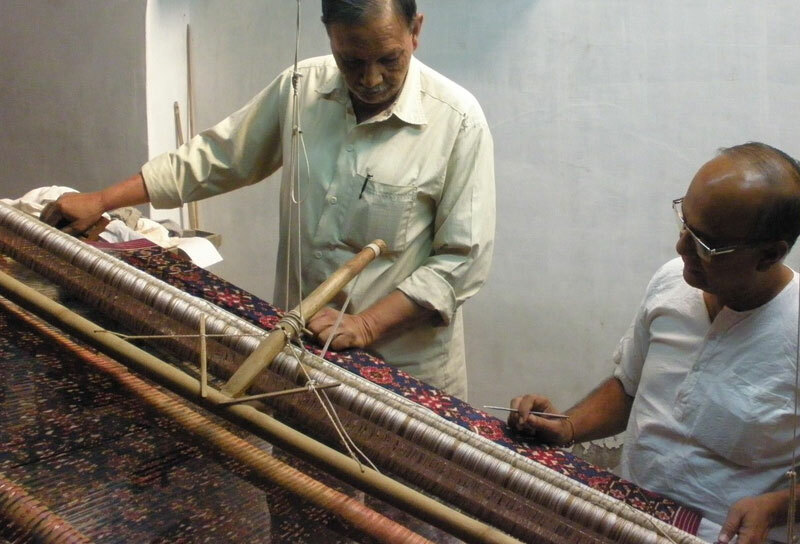 Equally well-known for its handloom traditions, Hyderabad is most famous for its Pochampally Ikat fabric and sarees. The best place to get a peek into this weaving tradition is the Pochampally Handloom Park where you can the watch the craftsmen create magic. 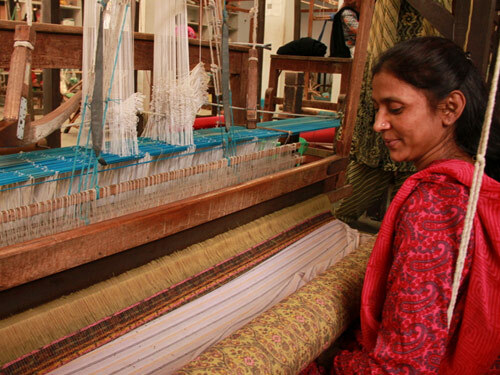 You can see the saree come to life as it goes through various stages of production including dyeing. If you’re lucky, you’ll get a chance to work the loom yourself. You can end the day with a homegrown Pochampally Ikat from its source. If you’ve ever seen Maharashtrian bride you would have noticed two things – her pearl nosering and her glorious Paithani saree that’s woven in Paithan in Aurangabad. The traditional heirloom weave has zari threads that are sown into fine silk fabric. 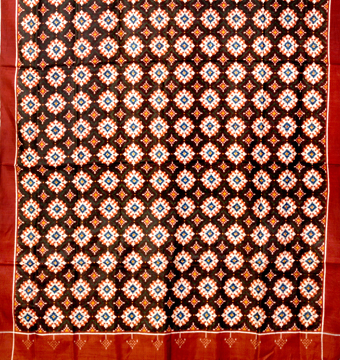 The value of a handwoven Paithani is often dependent on the number of peacocks on it. One of the richest weaves in India, you can see the fabric been patiently woven at the Paithan Silk Weaving Center in Aurangabad where the sarees are also sold. Throw in a visit to the Ajanta Caves that are just an hour away and you’d have covered art and culture in one weekend. Just a couple of years ago, the Patan Patola saree (a double Ikat woven in Patola, Gujarat), was on the verge of extinction. With just a few families actually involved in this weaving tradition, a Patola can take four to six months to come to life; some have taken up to three years too! But with growing interest in textiles and the willingness to pay for handwoven fabrics, this tradition is on an upward swing. To see the weave’s history in one place, head to Patan Patola Heritage, a museum in Patan that’s one of its kind. 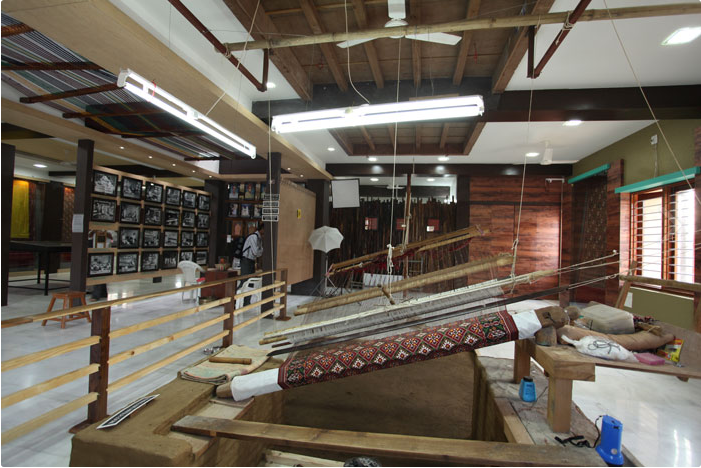 Here you will see a large loom in the center, vintage fabric, photographs of weavers as well as the weave’s history. Posted in Crafts, Gujarat, India, inspiration, Monuments, Rajasthan, Sarees, Tamil Nadu, Textiles, traditional, Travel, Uttar Pradesh, Weaving and tagged Ahilya Fort, Andhra Pradesh, Aurangabad, beautiful, Benaras, chanderi, fabrics, Gujarat, handwoven, Heritage, Hyderabad, Jagmandir Palace, Jamdani, Kanjeevaram, Kota, Madhya Pradesh, Maharashtra, maheshwari, motifs, National Handloom Day, paithani, Patan, Patan Patola, Pochampally Ikat, rajasthan, Sarees, silks, Tamil Nadu, textile, traditions, uttar pradesh, Weave, Weaver. Bookmark the permalink. I liked the detailed information shared on blog this will create interest in the young generetion for ceturies old dress sence of indian women.